What is a Shoulder Instability? The shoulder is a very mobile ball and socket joint. This gives us the great advantage of being able to move our hand and arm in many directions. To permit this great mobility, the socket must be very shallow and as such the stability of the shoulder is very dependent on the surrounding muscles, tendons and ligaments to keep it in joint. Any condition or injury that disrupts these structures can lead to the shoulder slipping slightly out of joint and back in again (subluxation or partial dislocation) or coming out completely (dislocation). Trauma – this usually results from a fall or an accident. In sportsmen this is most frequently due to a tackle or collision event. In these traumatic cases, the shoulder often stays out of joint (dislocates) and requires someone to put it back in joint. In over 90% of cases the shoulder dislocates forwards and downwards (anterior). Traumatic dislocations are almost always associated with damage to the structures that stabilise the shoulder. This makes the shoulder more prone to dislocations in future. Atruamatic – in this group of patients, there is often no specific traumatic event or the trauma has been relatively minor. Despite this, these patients experience the sensation of their joint slipping or it even coming out completely. This tends to occur more often with the arm in certain positions or even during their sleep. The shoulder almost always relocates itself rather than needing to go to hospital to have it put back. These patients have a greater degree of laxity of the ligaments that hold the shoulder in joint and a similar degree laxity can usually be seen in other joints. It is less frequent to have any underlying joint damage in these cases. Non-structural atraumatic – these patients can dislocate their joints at will and may demonstrate a dislocation as a party trick. This is usually painless and there is no previous history of accidents or trauma. This form of instability is due to muscle imbalances and a change in the coordination of the muscles that control the stability and movement of the shoulder. 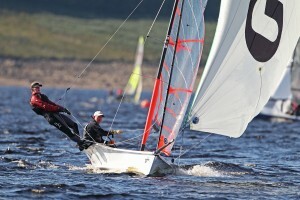 The treatment is very much based on the cause of the dislocation. For all causes however, physiotherapy is a fundamental part of successful treatment. Physiotherapy – this is essential to regain safe controlled and balanced movement in the shoulder. In many cases, this is all that is needed. Surgery – there are several operations that are used in treating unstable and dislocating shoulders and these are based on addressing the underlying damage. 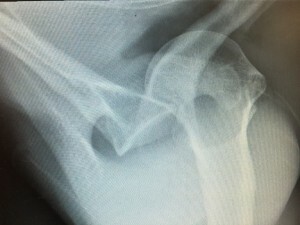 In young individuals who sustain traumatic dislocations, there is a high chance of the shoulder re-dislocating in the future if left alone. This is particularly true in those who take part in collision sports, overhead sports and manual jobs. In these cases a good success rate can be achieved by surgically stabilising the shoulder. In the majority of traumatic shoulder dislocations, the labrum is damaged or torn. This tear is also known as a Bankart lesion and can even extend to involve the bone of the socket (Bony bankart lesion). To restore shoulder stability and reduce the chances of redislocating, the labrum can be repaired back to the edge of the socket using keyhole surgery. This requires 2-3 small incisions. The surgery can be performed as a day case procedure meaning you can leave hospital the same day as your operation. A period of immobilisation in a sling is then needed for 4-6 weeks and your stitches can be removed after 10 days. A structured course of physiotherapy is started immediately. Driving can be commenced after 6-8 weeks subject to review by Mr Boyle and your physiotherapist. Return to sports is considered from 3 months post surgery. The Latarjet procedure was described by the French Surgeon Dr Michel Latarjet in 1954. It is used in cases of recurrent shoulder instability where surgery has been performed before and the shoulder continues to dislocate. It has a special role in managing shoulder dislocations where there has been damage to the bone of the humeral head or the the socket or both. Mr Boyle has been involved in the evolution of this procedure by the keyhole approach through his training with Dr Laurent Lafosse in Annecy France. Dr Lafosse pioneered an all arthroscopic (keyhole) technique for performing this surgery and Mr Boyle was the first UK surgeon to perform this procedure in 2009. Complications are uncommon but include getting a stiff shoulder or recurrence of dislocations. Further possible but rare complications include infection, nerve damage, pain and wound healing problems. Finally, specific to the Latarjet procedure, non-union and malunion of the bone transfer.